Maximize Your Splurge: How to get the best value for money on expensive products. Buy something you know you would use. 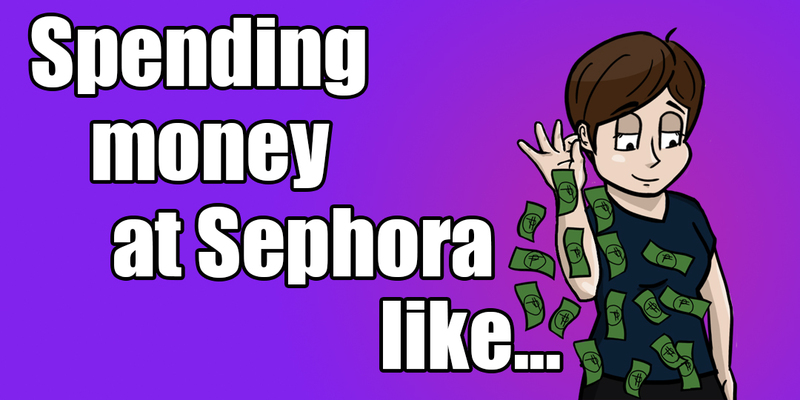 Ah, so you’re eyeing that fancy high-end eyeshadow palette? Well, do you see yourself wearing the colours the palette has to offer? If not, chances are, it will just be stored in your vanity drawer, waiting for an opportunity to be used. Don’t be blinded by the beauty of products. Don’t be deafened by the loud raves of beauty youtubers. Know what you like and try to stick to that. If you want to experiment and try new things outside of your comfort zone, try a cheaper alternative first to see if you like it; so, when you end up not liking it, you wouldn’t feel too bad about not using the product ever again. I have mentioned multipurpose products plenty of times before here on my blog, and that’s because I think it’s one of the key rules of makeup. Did you know you can use your brown eyeshadow to add colour to your lids, serve as eyeliner to define your eyes, serve as your contour powder, fill in your eyebrows, and adjust your lip colour? Well, now you know! Select products that can be used in many different ways so that you actually get a lot of use out of your expensive purchase. I know not everybody likes rich colours and heavy coverage; but, hear me out. A sheer foundation can offer minimal coverage. Although, that’s what some people want, it’s not very versatile. A full coverage foundation, on the other hand, can be thinned out for a natural, sheer coverage, or you can build it up for a full, flawless effect – you wouldn’t even need to buy a concealer! A rich, bold lipstick can be dabbed on lightly for a soft lip stain effect, or applied full on for a daring pout. Be on the lookout for sales, coupons, and promos. Although, expensive/high-end brands don’t hold sales and promos as often as drugstore brands do, they usually have seasonal sales every couple of months – or at least, thrice a year. (Usually, they’re held during the summer, the brand’s anniversary, and during the Christmas season. You can thank me later.) Try to be patient and wait for the opportunity to come around. Who knows? You might be able to save a bit more for when the sale season comes and you might be able to buy more than what you had originally intended on purchasing. Treat your expensive makeup with extra care. Keep them away from direct sunlight, store them in a cool and dry place…you know the drill. Some people opt to store their makeup in the fridge as they believe that the cool temperature helps to preserve the makeup and prevent them from going bad/spoiling. How do you maximize your splurge? Share your thoughts below!